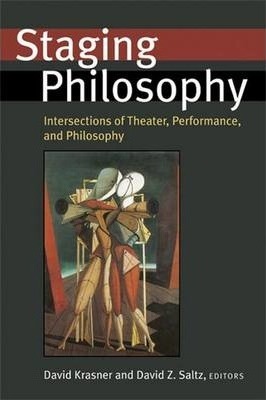 This work investigates the fundamental issues in theater and performance from a wide range philosophical perspectives. The fifteen original essays in ""Staging Philosophy"" make useful connections between the discipline of philosophy and the fields of theater and performance, using these insights to develop new theories about theater. Each of the contributors, leading scholars in the fields of performance and philosophy, breaks new ground, presents new arguments, and offers new theories that will pave the way for future scholarship. ""Staging Philosophy"" raises issues of critical importance by providing case studies of various philosophical movements and schools of thought, from analytic philosophy to phenomenology, and from deconstruction to critical realism. While some essays challenge assertions made by critics and historians of theater and performance, others analyze the assumptions of manifestos that prescribe how practitioners should go about creating texts and performances. ""Staging Philosophy"" will provoke, stimulate, engage, and ultimately bring theater to the foreground of intellectual inquiry while it inspires further philosophical investigation into theater and performance. David Krasner is Associate Professor of Theater Studies, African American Studies and English at Yale University. His books include A Beautiful Pageant: African American Theatre, Drama, and Performance in the Harlem Renaissance, 1910-1920 and Renaissance, Parody, and Double Consciousness in African American Theatre, 1895-1910. He is co-editor of the series Theater: Theory/Text/Performance. David Z. Saltz is Associate Professor of Theatre Studies and Head of Theatre History and Theory at the University of Georgia. He is editor of Theatre Journal and is the principal investigator of the innovative Virtual Vaudeville project at the University of Georgia.